We are very concerned that with the quota only one wolf away from being filled, that more could potentially be harvested if the hunt in Zone 3 is allowed to run into the weekend. Due to quotas being exceeded in other hunting zones already this season, we believe it is reasonable to surmise that the weekend will see many more hound hunters able to get into the field, with the likelihood of the quota been exceeded extremely high. PLEASE CALL & EMAIL Dave McFarland, the Wisconsin Department of Natural Resources’ Large Carnivore Specialist, and politely and respectfully REQUEST that zone 3 be closed to wolf hunting for the reasons stated above. 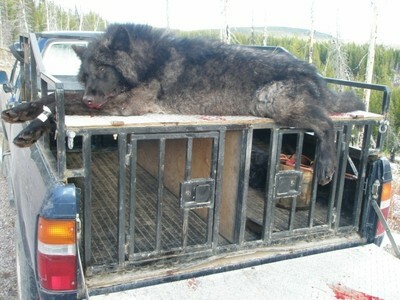 Dave McFarland, Large Carnivore Specialist, WI DNR Ph: 715-365-8917. David.Macfarland@Wisconsin.gov. UPDATE! GREAT NEWS! Thanks to everyone who called the Wisconsin DNR this morning asking for Zone 3 to be closed to wolf hunting before the weekend. The DNR website is now reporting that Zone 3 will be closed at Midday tomorrow (Friday 5th Dec) and Zone 6 will be closed at 8am the same day. Thank you to all who called and put pressure on the DNR to close these zones before the wolf kill quota was once again exceeded. 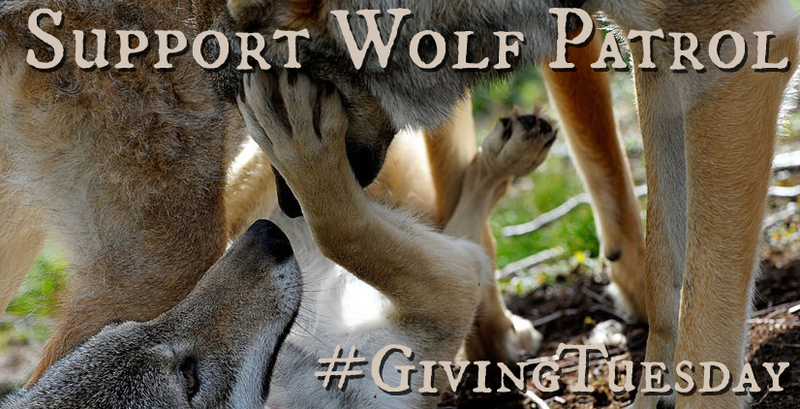 Giving Tuesday – Support Wolf Patrol! Wolf Patrol and Wolves of Douglas County Wisconsin are today’s (11/21/14) guests at The Situation Room. Tune in at 8pm (eastern time) to hear about our work in Wisconsin.